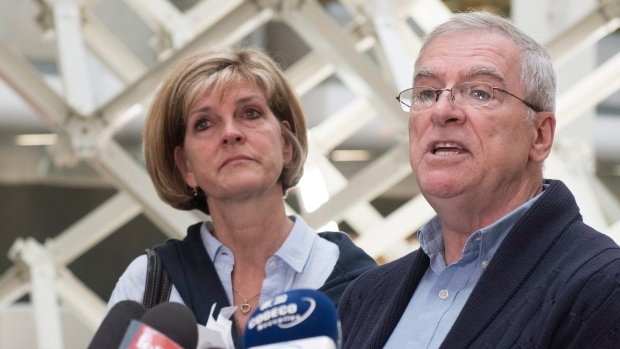 The parents of the mosque shooter in the city of Quebec complained that their son's sentence was "very serious". Raymond Bisont and Manon Meretz released an open letter on Monday, questioning the severity of the 40-year minimum sentence given to their son last week. Alexander Bisont, 29, was ordered to serve six life sentences without a chance of parole for 40 years on Friday, the killing of six men and the wounding of six others at the Islamic Cultural Center mosque on January 29, 2017. His parents say that the sentencing is the most severe imposed in Quebec since the death penalty was abolished in 1976. "Before allowing consecutive punishments, those who were sentenced to serious crimes could have had some hope of being able to apply for release after 25 years and be supervised by the Parole Board of Canada for the rest of their lives," they wrote. "Unlike other countries, Canada has chosen an open-door policy, congratulates people from all over the world and gives them hope for another opportunity in life, why deny the prisoners even the slightest hope?" In the verdict, Justice Francois Hoss said Bisont would serve six sentences of 25 years in parallel to the murder, and another 15 years, which would also be filed simultaneously, for attempted murder. He rejected the Crown's call to cut Bismont for 150 years with no chance of parole, arguing that a 50-year sentence or more would be a cruel and exceptional punishment under the Canadian Convention on Rights and Freedom. Sentences that exceed the life expectancy of the offender and offer no reasonable hope of release are "disproportionate and incompatible with human dignity," he wrote in a 246-page resolution. After hearing the ruling on Friday, members of the Muslim community said they were "disappointed" and "amazed" by the result. "(Bisont) declared that he wanted to kill more people, he was disappointed by himself he did not kill enough," said Imam Hassan Gilat, adding that the families of the victims seek peace of mind and healing that the verdict did not provide. "We know, after 40 years, Mr. Bezont will be 67, we do not know whether he will be alive or not, but orphans, very likely will still be alive and the hearing will be opened again," he said. In the letter, Bisont's parents said their son was a victim of bullying while growing up. "If we really want to prevent this tragedy again, it seems to me that the solution is not to lock someone forever, but to try to better understand and prevent bullying, which is a social problem. A serious one that continues to cause casualties among our young people, "read the letter.